Republican presidential frontrunner Donald Trump – and the GOP as a whole – are deeply underwater with American Latinos, a new NBC News/Wall Street Journal/Telemundo survey shows. Nearly three in four Latinos say they have a negative view of Trump, with 67 percent saying their view is “very negative.” Trump, who has called for mass deportation of undocumented immigrants and has derided opponent Jeb Bush for speaking Spanish at campaign events, gets a thumbs up from just 11 percent of Latinos. 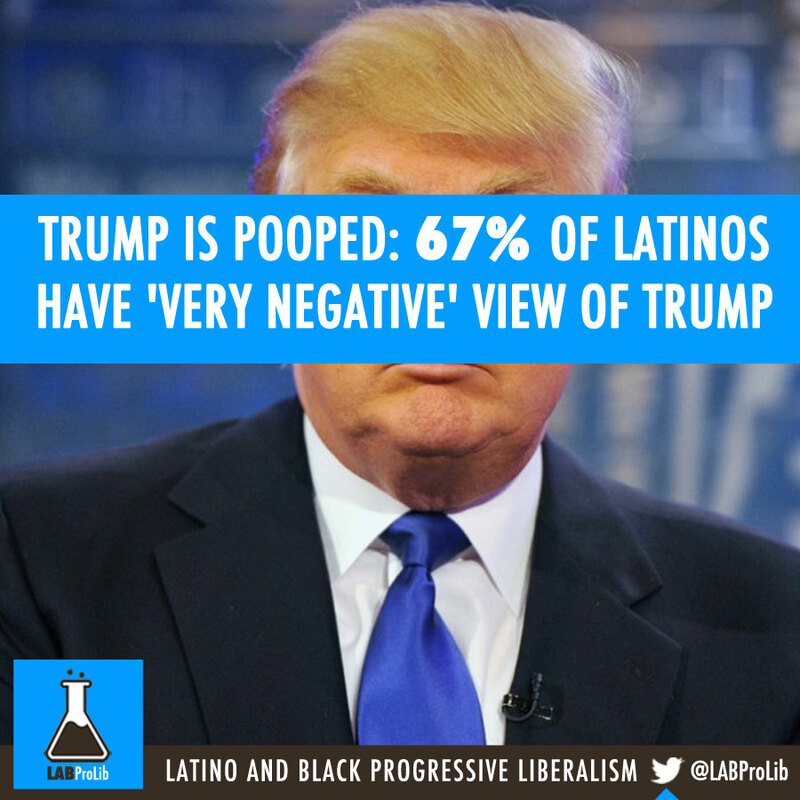 The Republican Party is viewed negatively by a plurality of Latinos as well. More than four in ten have a poor impression of the GOP, compared to 24 percent who view the party positively. In contrast, the Democratic Party gets relatively good marks from the rapidly-growing minority group. Forty-eight percent of Latinos have a positive view of the party, while 19 percent say they have a negative view of it. And about twice as many Latinos say they’d like to see a Democrat in the White House in 2017 (51 percent) than a Republican (24 percent). Latinos made up about 10 percent of the electorate in the 2012 presidential race. Mitt Romney captured only 27 percent of the vote, compared to 71 percent who supported Barack Obama. Unlike Trump, several of the other GOP presidential hopefuls are in positive territory with Latinos, but barely so. Bush, who is married to a Mexican-American woman, is just breaking even with Latino adults. Twenty-nine percent give him a thumbs up, but twenty-seven percent give him a thumbs down. (+2) Less well known, but getting similar marks, are Carly Fiorina (+5) and Ben Carson (+3). The Democratic Party’s standard bearers, on the other hand, are far more positively assessed, with high marks for Democratic front-runner Hillary Clinton (+29), Vice President Joe Biden (+29) and Vermont Democratic senator Bernie Sanders (+18). The NBC/WSJ/Telemundo oversample of Latinos included interviews with 250 Latino adults between September 20 and September 24. The margin of error is +/- 6.20 percent.